It has been a tough season for the defending champions. After winning the league title last season, key players had to leave the team and there was a change in overall strategy. This term the full backs have not proved as much success and there has been a hole upfront. Since Diego Costa left, Alvaro Morata struggled to impress initially, after a while he found his bearing but then got injured. Upon return he has struggled with form and confidence and his backup Olivier Giroud, who joined in January, has not found it easy to settle in. 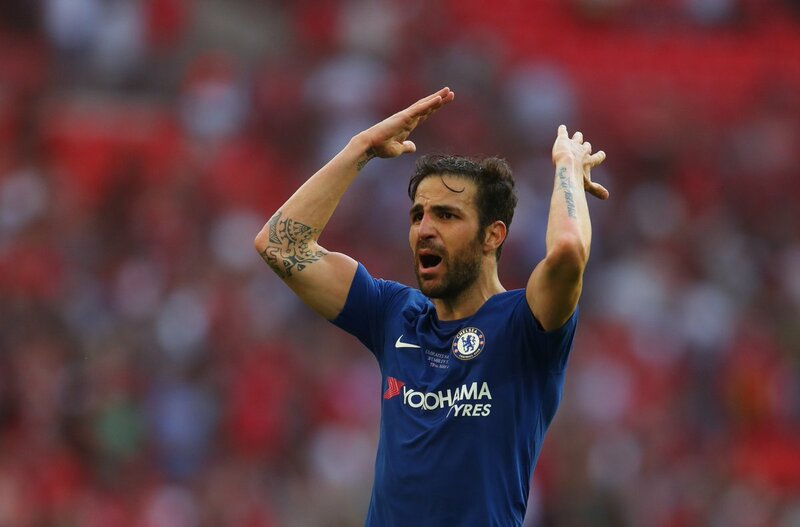 Cesc Fabregas has denied that the team was in a crisis mode, following their struggles. The playmaker was instrumental last season, especially in the second half of the season where he used his creativity to bail the team when needed. He was initially sidelined but he fought his way back to the first team. The Blues are hoping to win the Champions League battle with better Barcelona side. They are also struggling to finish in the Top Four to get Champion League spot next term. This is amid reported interest in some key players like Madrid for Eden Hazard, PSG for N’GoloKanta etc. There are also fears that the manager might not remain past this summer with numerous reported clashes with the club’s board. Fabregas says the team does not care about the speculations, optics and negativity. He hinted that the small team is stretched as some players play more than they should. He admitted that they “struggled a little bit this year” but insists that they are fine overall. He listed their seemingly decent achievements this term in the FA Cup, the semi-final in the EFL, their Champions League run and their spot in the league despite their challenges. He admits that the title is gone to Man City but believes the team can turn around their fortunes and end the season on an overall good note.